If you’ve ever studied phonetics, you will almost certainly have read ‘English Phonetics and Phonology’ by Peter Roach, it is widely considered to be the most practical introduction to the subject available. Peter Roach, former Professor of Cognitive Psychology and Professor of Phonetics, now Emeritus Professor in Phonetics, was lucky enough to have teachers such as Alan Cruttenden, A.C.Gimson, J.D. O’Connor, Gordon Arnold and John Wells, who encouraged him to make a career in the subject. Initially, he was particularly interested in practical phonetics – ear-training, learning to make difficult sounds, working with foreign learners of English, but when he started his first teaching post at the University of Reading, he began working on experimental phonetics and got involved in computer speech technology and speech recognition software. His worldwide popular textbook ‘English Phonetics and Phonology’ came to life when Professor Roach was teaching as a visiting professor at the University of Seville in Spain. He was then asked to write up his lecture notes and tape exercises so that his course could continue to run after he left to return to his post at the University of Reading.  Before he went there, students of English in Seville were expected to read ‘Gimson’s Introduction to the Pronunciation of English’ as their introduction to phonetics – not an easy way into the subject, so, as Roach points out himself, it seemed a good idea to have something which was simpler and also structured as a course-book. In the end, his project turned into a book that made life of phonetics students, including myself, a lot easier. In the second in our series on people who have influenced Pronunciation Studio, Maria Kozikowska asked Peter Roach a few questions about phonetics, sounds, pronunciation tips and running. 1) What is your favourite sound and why? I think I like the glottal stop best. It’s a mysterious creature, never allowed to be considered a phoneme but found very commonly in most accents of English, particularly among younger speakers. Once you start noticing glottal stops and glottalization of voiceless plosives and affricates, you become aware of how widespread this aspect of pronunciation is, and how complex are the rules about where we produce it. Very few teachers of pronunciation ever think of encouraging learners to use it, yet when I hear a learner who has picked up the appropriate patterns of usage for glottalization or glottal stop I find their accent sounds very much more natural, more youthful and more native-like. 2) You mention that A.C. Gimson was one of your teachers. How would you summarize A. C. Gimson? Gimson was a very important figure in British phonetics. He was a brilliant pupil of Daniel Jones and an inspiring teacher. Gimson at University College London and David Abercrombie at Edinburgh University were very important in reviving and pushing forward the study of phonetics after the enforced pause of the Second World War, and between them these two phoneticians were responsible for very strong growth in the subject through the later part of the twentieth century. 3) What was the hardest part of writing ‘English Phonetics and Phonology’ and what part of the book took you the longest to write? Intonation is the area I have most difficulty with. You can’t ignore it, because it is an important part of pronunciation, but it’s very hard to teach, learn, analyze and describe. That means that it’s hard to decide how much space to devote to this subject in a small book, and I am not sure it should have as many chapters of the book as it does at the moment. So the chapters on intonation are the ones I have spent most time worrying about. 4) Have you ever thought of writing a more advanced sequel to ‘English Phonetics and Phonology’? I have always believed that Gimson’s Pronunciation of English is the book to move on to after EPP. It is so thorough and well-researched that I don’t think it could be improved on. I have often thought of writing other books, but these would be more narrowly focused on particular areas. I would not want to go any further into phonological theory, but I would very much like to write some more on aspects of phonetics. For example, I would like to produce a practical guide to using simple acoustic analysis on a computer to look into questions of pronunciation. It’s fascinating to see speech “under the microscope”. It’s not difficult to do, but existing textbooks are hard to understand. 5) If you were to give one piece of advice for English learners working on improving their English pronunciation, what would that be? Make yourself break free of the self-consciousness that holds most learners back. Everyone is scared of sounding stupid when they try to speak with a new accent. Think of learning to swim, or to ride a bike – there has to be a moment when you take your foot off the ground and believe that you are not going to drown or fall off. Once you have got past this scary moment, it’s normal to make much quicker progress. So you need to throw off your inhibitions, speak out loudly and try to sound like an English stand-up comedian or rapper. 6) How many sounds are there in English? Well, that depends on how you count them. Many years ago, an American linguist said that when you try to answer a question like that you must either be a “God’s Truth” linguist who believes there is only one right answer and once you have found it you must not doubt it, or a “Hocus-Pocus” linguist who believes that there are lots of different possible answers depending on which clever tricks you play with the data. I’m a hocus-pocus man. Let’s take the vowel system as an example. British textbooks will tell you that there are seven short vowels, five long vowels and eight diphthongs. That gives twenty vowel phonemes. Compare that with the other languages of the world and you will see that twenty is an implausibly big number. But you can easily come up with a different analysis that has just six vowel phonemes, an analysis that to me is equally valid. Let’s say we have just the vowels of ‘pit’, ‘pet’, ‘pat’, ‘pot’, ‘putt’ and ‘put’. What about schwa? It’s quite easy to argue that schwa is not a vowel phoneme but an unstressed and reduced allophone of /V/ or other short vowels. Long vowels? They are just short vowels combined with a consonant: for example, the vowel of ‘tea’ is /i/ plus /j/, the vowel of ‘too’ is /u/ plus /w/ and the vowel of ‘car’ is /a/ plus /h/ (or, in a more complicated analysis, /a/ plus /r/). Diphthongs? Just like long vowels, being composed of a short vowel combined with a consonant. It’s quite amusing playing games with phonemes, and you can get a very different analysis of the consonant system which would produce a different total. 7) You mention that you love long-distance running. Have you ever run a marathon? Yes, I’ve run about a dozen, including London three times. My big ambition was always to break the three-hour barrier, but the closest I got was 3h 7mins.